2. Increase the range of motion in your joints. 3. Decrease of muscle soreness and you relieve joint stress. 5. Maintain your correct functional muscular length. Where can you find a foam roller? When choosing a foam roll, product density is very important. Beware of cheaper versions at local stores. If the foam is too soft, it doesn’t target the areas you want. On the other hand, if the foam is too hard, bruising and more advanced soft-tissue trauma may occur. You can purchase high quality foam on-line. I use a 12", but you can buy longer ones. Place hamstrings on the roll with hips unsupported. Feet are crossed to increase leverage. 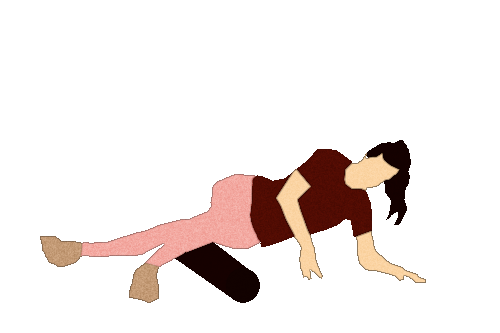 Roll from knee toward hip while keeping quadriceps tightened. When you find an adhesion (muscle knot), hold for 30 seconds. Repeat and hold each knot for 30 seconds. 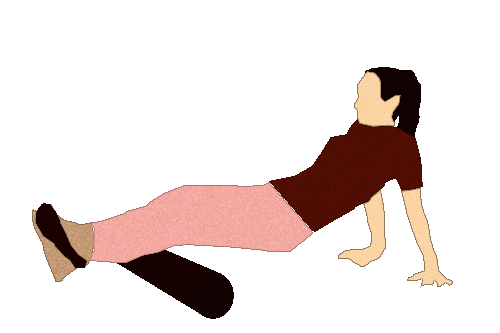 Body is positioned prone (face down) with quadriceps on foam roll. It is very important to maintain proper Core control (abdominal Drawn-In position & tight gluteals) to prevent low back compensations. 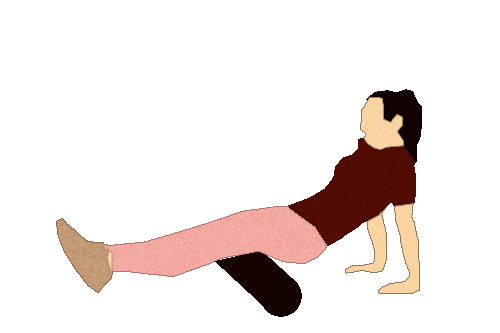 Roll from pelvic bone to knee, emphasizing the thigh. When you find an adhesion (muscle knot) hold or 30 seconds. Keep rolling until you find all the adhesions (muscle knots) and hold each for 30 seconds. Place foam roll under mid-calf. Cross opposite leg to increase pressure (optional). Slowly roll calf until you find an adhesion (muscle knot); apply pressure for 30 seconds. Keep rolling towards your ankle and hold each adhesion (muscle knot) for 30 seconds. 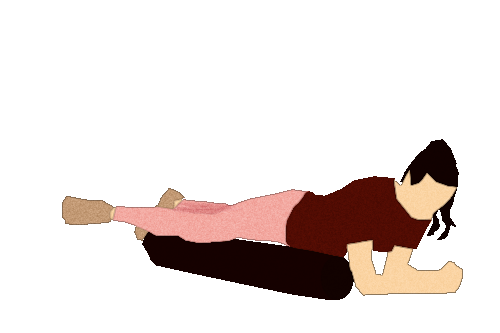 Position yourself side lying on foam roll. Bottom leg is raised slightly off floor. Maintain head in “neutral” with ears aligned with shoulders. Roll just below your hip joint down towards the knee until you find an adhesion (muscle knot). Hold for 30 seconds and keep rolling to find new adhesions. Hold each spot for 30 seconds. 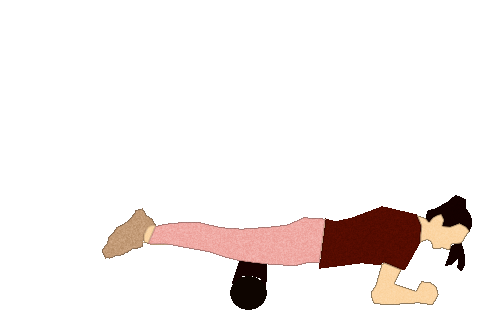 Extend the thigh and place foam roll in the groin region with body prone (face down) on the floor. Roll out towards the knee until you find an adhesion (muscle knot). Hold for 30 seconds and keep rolling to find new adhesions. Hold each spot for 30 seconds.